The cutest witch’s cat since Gobbolino. Gwyneth Rees has given us her most enchanting read yet. 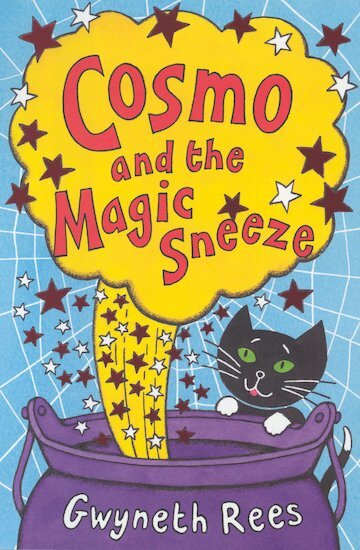 Like his father Mephisto, Cosmo the kitten was born with magic in his whiskers and sorcery in his paws. So he’s thrilled when he becomes a proper witch-cat to Sybil the witch. Now he can ride on her broomstick and help her with her spells – and it’s all thanks to his magic sneeze! But something sinister is up in witch world. And when Sybil starts making spooky golden statues of kittens, Cosmo’s hackles are raised. What is really going into Sybil’s scary potions? 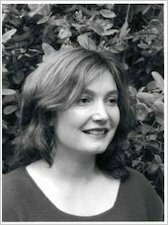 Gwyneth Rees was born in Leicester in 1968, and moved to Glasgow at the age of six. Gwyneth became interested in writing when she was an avid reader of Enid Blyton and wrote her first ‘book’ in an exercise jotter at the age of ten. It featured four children trying to solve a mystery about sheep rustlers on the Isle of Skye! After studying medicine at Glasgow University she qualified as a doctor in 1990. She now works part-time as a doctor and spends the rest of the week writing. Gwyneth has written six hugely popular Fairy books, plus other bestselling titles like Cosmo and the Magic Sneeze and Mum Hunt. Her new series, The Magic Dress Shop, is out now. It’s a great book filled with humour and adventure. Despite the fact that it looks like it’s for younger children, it is a good book for all ages.